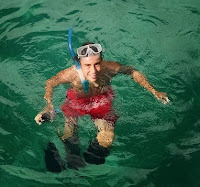 One of the fun activities that cruising gives us is snorkeling. We’re lucky that there are so many places in the Caribbean and the Bahamas that allow this. The best snorkeling we've had was in the Exuma islands in the Bahamas. And so, of course, our underwater camera, new to us just before we crossed to the Bahamas, broke after the first time we used it. By the time we managed to get another one, we were in Luperon in the Dominican Republic where there is not much snorkeling. Since then, the best place we have snorkeled was in St. John, in the U.S. Virgin Islands. 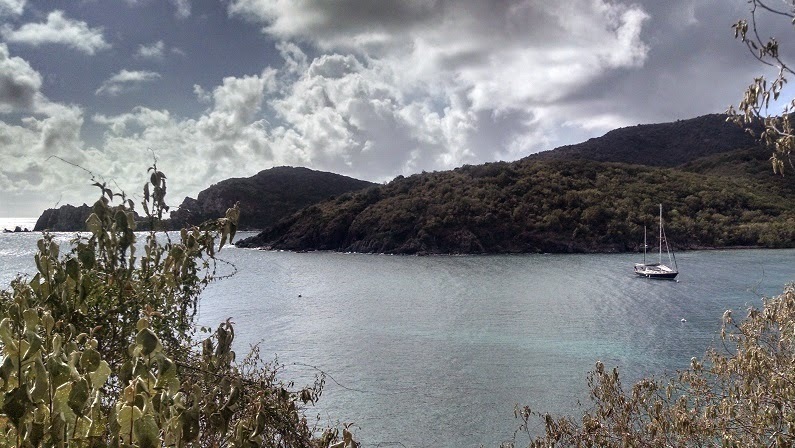 St. John is two thirds national park, and the waters are protected from fishing, so there is a wide variety of fish. Below is a link to a video of some of the snorkeling we did in Little Lameshur Bay in St. John. You'll see cuttlefish, a camouflaged octopus, and a spotted drumfish. You'll also notice that the video is not that colorful. There are two reasons for that. One is that the camera we have, a Go-Pro, does not do so well underwater. extra food. Bleaching occurs when corals expel their zooxanthellae due to some problem like disease or high temperature. The corals may then die, since a large part of their food source is missing. Corals themselves are white; the zooxanthellae are actually the providers of the color pigment that makes the corals so colorful. So during bleaching, as the name suggests, the corals lose their color. Bleaching is happening everywhere, even in the Bahamas. In some places, the fish are just living around the skeletons of coral. It's very sad, because coral reefs take hundreds of years to grow; the Great Barrier Reef is 20,000 years old!